Even a beginning has an influence. As a matter of fact, I am Under the Influence of many creative-thinking people on social media. After attending an in-depth session with George Couros, @gcouros, in December, time has to be made to put down thoughts regarding learning. I want this blog to be a resource of ideas, but also a place where questions are asked leading to more student voice/choice and changing how we instruct this generation. I want education to be transformed from its current state. 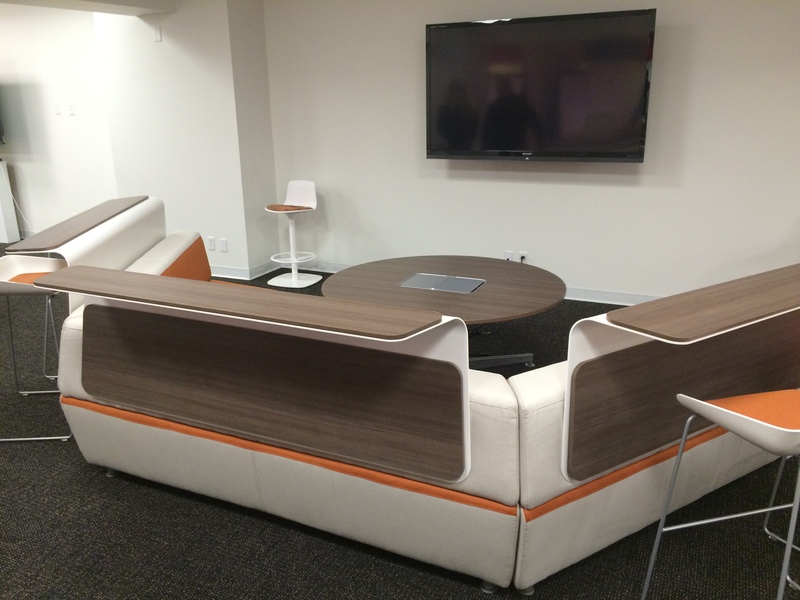 Gone are the days of sterile learning environments, such as standard row seating with uncompromising furniture. 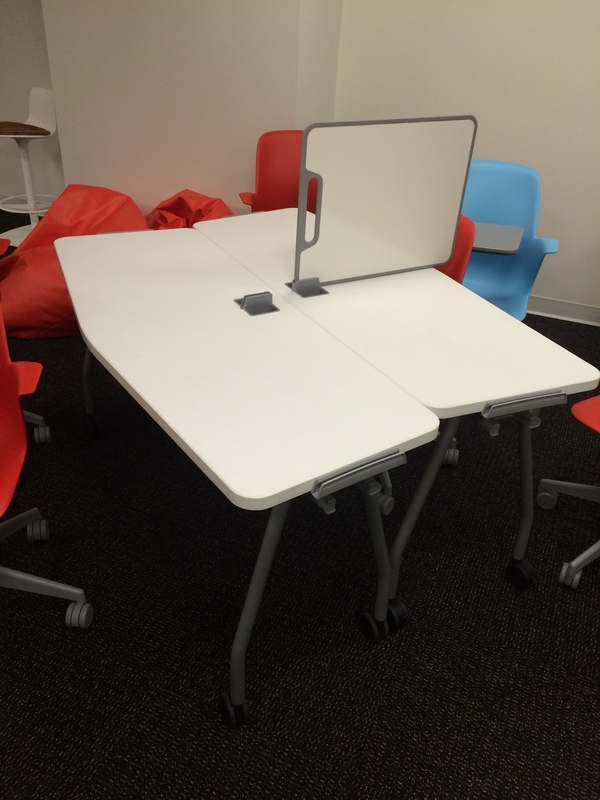 Four of us from our school were able to view the changing landscape for classroom furniture at Target Corp. Lisa McGinnis contacted our Technology Integrationist (@travislape) while we were in Minneapolis in December. 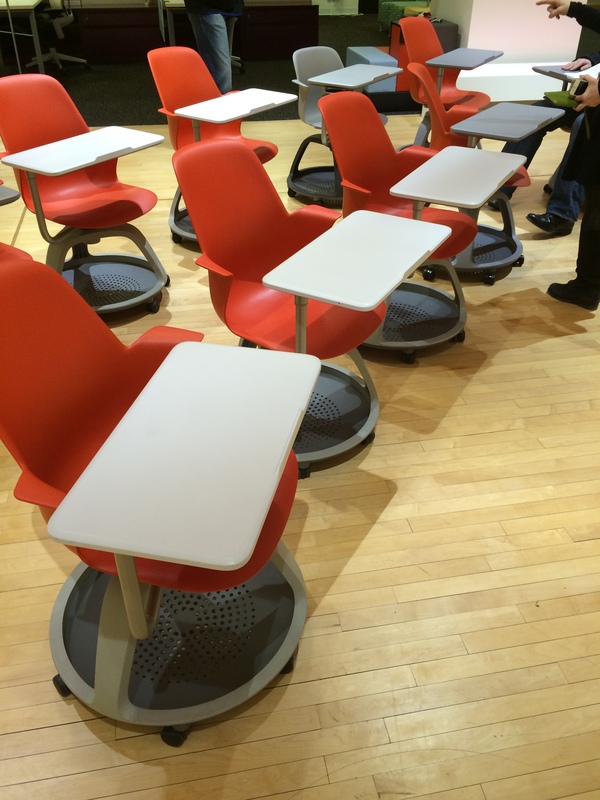 The tour was a refreshing look at learning spaces. 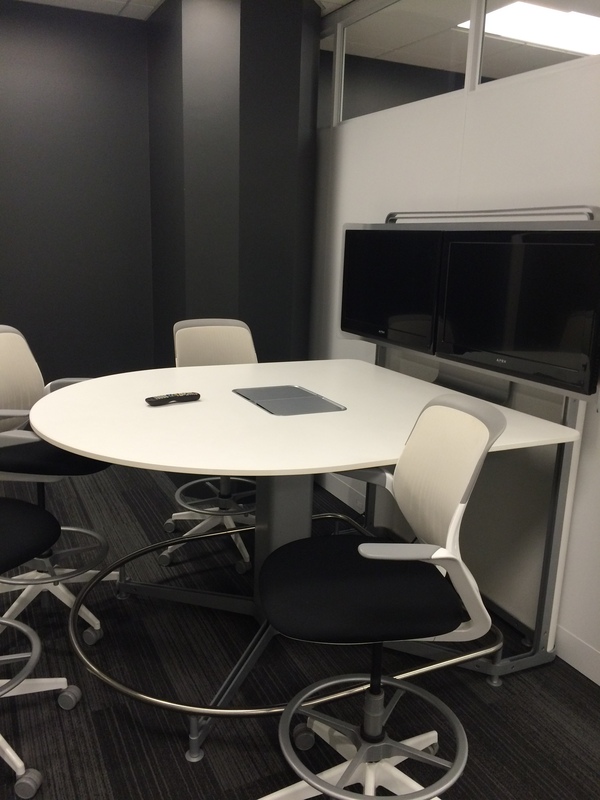 The possibilities for student collaboration envisioned during this tour was limitless. Students would have the opportunity to be in a flexible learning environment. For this school year I am impressing four main points to staff at South Middle School. First, I want a concerted effort to increase student voice and choice in the classroom. Second, we are pushing all staff to have a social media/technology presence for their classroom and our school. This is indicative of the positive school culture we are building. Some call it Branding, some refer to it as school climate or culture. We also are pushing to incorporate more technology into our lessons, which coincides with our BYOD initiative. Third, staff are moving students toward more collaboration or mashing of ideas and inviting creativity in student work. The final point involves risk. I love risk-taking. I want risks to be embraced by staff and students at our school. Risks lead to deeper learning, because failure has to be confronted and reflected upon. But risk is not a comfortable realm for most people, so we need to lead by example. What risk are you taking today? This entry was posted in Uncategorized and tagged George Couros, Learning Spaces, Risk on January 2, 2015 by darrenellwein.